This is the Music Room at yesterday's Stuart Ave. Inn. I can't help getting the feeling that none of the photos I took (or would take even given more time) can do the place justice. 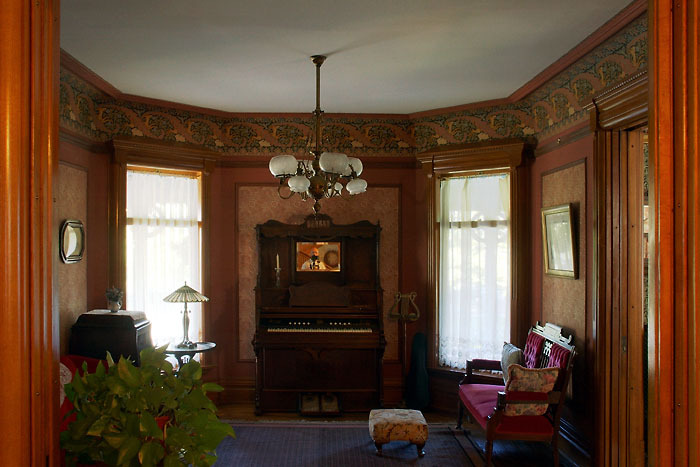 Old .. original woodwork, fixtures, period furniture ... all remarkably and lovingly cared for and maintained.